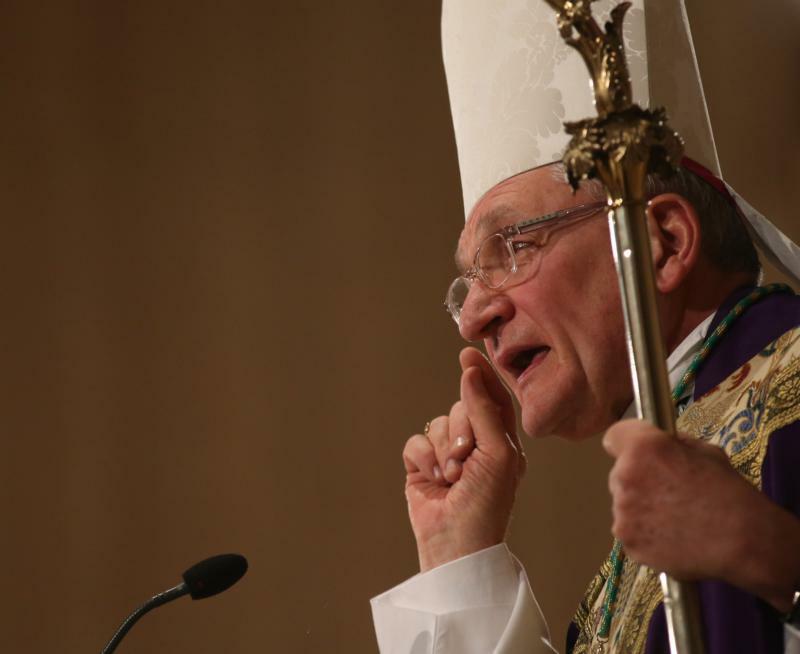 WASHINGTON (CNS) — Bishop David A. Zubik of Pittsburgh urged Massgoers preparing to rally in Washington for the annual March for Life to “connect the dots” linking all manner of life issues. Bishop Zubik said that while people engage in fasting, often interpreted as giving up something valuable to them, God has no interest in that. Instead, the bishop added, one has to go to the root of the word “sacrifice” — in Latin, “sacrum facere,” or to make holy. The way to do that, Bishop Zubik said, is to “connect the dots” of life issues as prepositions connect the key words and phrases in a sentence. He lamented the Supreme Court decisions of Jan. 22, 1973, that legalized abortion virtually on demand, as it “opened the door” to a host of other legal, legislative and proposed initiatives that reduce the sanctity of human life. 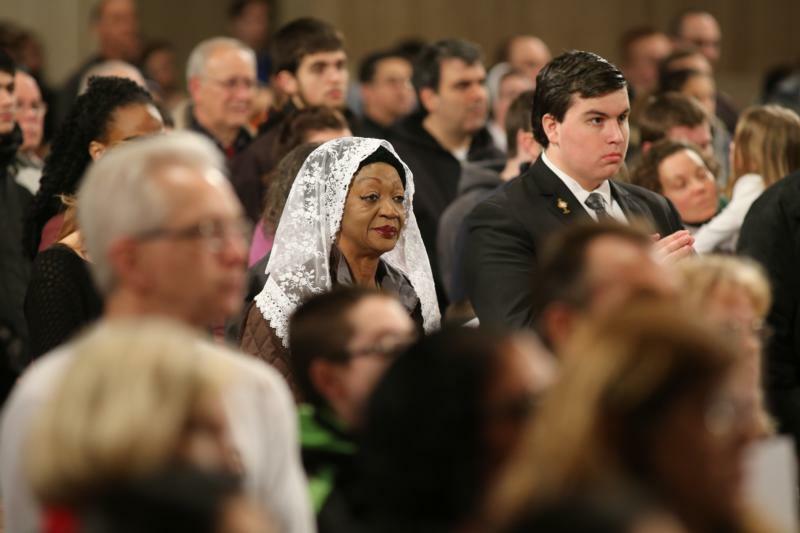 He suggested twice — during the homily and in a post-Communion reflection — that Massgoers think about the people who brought them to Washington on the anniversary date. “Not by wheels and wings” to come to Washington, Bishop Zubik said, but by their example and formation. Bishop Zubik offered as one such example — his own mother — who he said “taught me to get down on my knees” to pray at bedtime each night, and upon waking, “to get down on my knees again” at the same bedside. He also exhorted them to “make sure you’re very careful” as threatening weather approached. 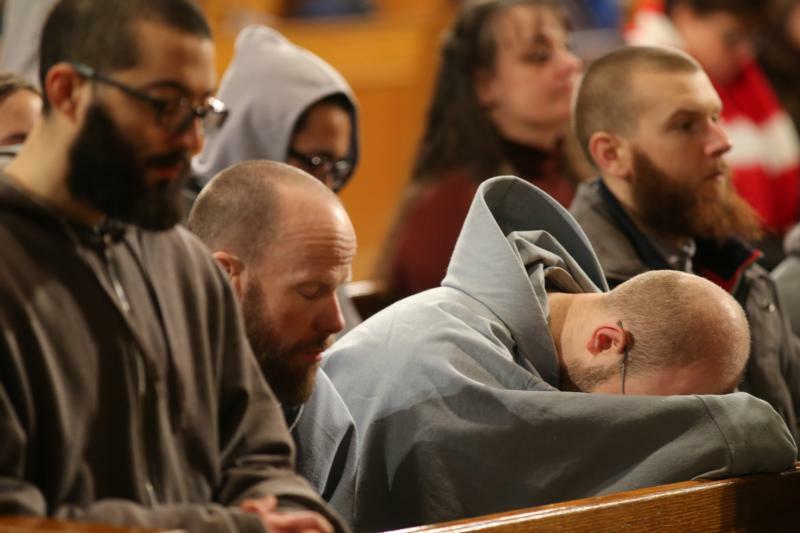 Fears of a storm system dumping a foot or more of snow in the Washington area kept attendance down for the closing Mass as it had for the Jan. 21 Mass that started the overnight vigil. For this Mass, many pews were not packed shoulder-to-shoulder with people, and even a few pews in a far transept were empty. Even so, the size of the national shrine’s upper church ensured that there were thousands of people attending.